MDreferralPRO is excited to announce the return of their annual Medical Referral Growth Summit, this year being held in Pensacola, Florida on October 4-5, 2018. Join the acclaimed networking event for fall-themed professional fun, filled with plenty of “tricks” of the trade, and “treats” for you to bring back to your practices. The event is designed to offer practice liaisons and fellow event attendees the skills and knowledge necessary to run a successful medical business. Each day during the conference, industry leaders will be sharing advice, tips and best practices for transforming your specialty practice into a profitable, well-run establishment. Whether your goal for the event is to learn new information, share ideas or simply listen to what the keynote speakers have to say, the MDreferralPRO team is confident you will be inspired by the wisdom being shared. Don’t let your practice be “haunted” by easy to make mistakes! Register today and join the other “ghouls and goblins” of the Medical industry for this exciting, educational, and downright fun event! 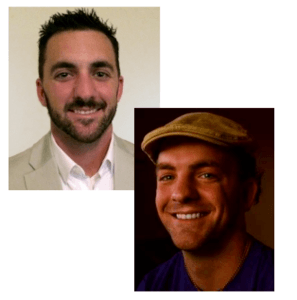 The Power of Personalization in Business Development – Scott Christmas, Senior Sales Representative at Depuy Synthes Spine, a Johnson & Johnson Company and Founder of Runner Girl Apparel Co.
Scott has over 20 years experience in the Medical Sales Industry. 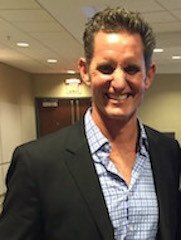 His goal-oriented and naturally engaging attitude have served him well both professionally and personally–a survivor of 2 plane crashes and a triathlete. Combining his sales experience and athleticism, Scott recently founded a fitness clothing line—Runner Girl Apparel Co. He is an advocate for raising awareness for blood donations and Brain Cancer awareness. In his spare time, he enjoys spending time with his children, running and competing in triathlons. Hear how Scott shares personal life experiences to engage clients and build trusting relationships. He’ll share how to foster personable relationships and find balance professionally. 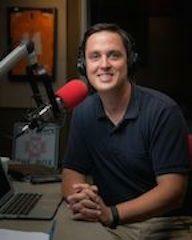 Chad Withrow is a host of the “Midday 180” on 104.5 The Zone in Nashville which has been nationally recognized as one of the best sports talk radio shows in America. The show is both critically popular and one of the highest rated shows in the country. Chad has also emerged as the voice of high school football in the state of Tennessee as he has spent the last 8 years calling state championship games on television. In 2016, he founded TNHighSchoolFootball.com which has emerged as the top source of high school football news in the state. Chad is a native of Mt. Juliet, Tennessee (a suburb of Nashville) and is a graduate of the University of Tennessee. Chad has had the privilege to interview countless athletes throughout his career. He’ll share how some of the country’s top sports figures deal with successes and failure and how you can still win regardless of the outcome. Evan Brown brings his experience in the field of health informatics to the Summit. He is the lead developer of the MDreferralPRO business development solution for healthcare organizations. Evan developed a proprietary algorithm for MDreferralPRO that uses predictive analytics to determine a prioritized list of providers who are most likely to refer to a healthcare organization within a specific geography. Evan earned his B.S. in Computer Information Systems from Troy University. With over 15 years experience within the healthcare arena, Bricken is someone who understands the importance of compliance. Learn how to navigate the evolving landscape of healthcare marketing regulations through employee engagement. Learn to empower employees so they own their role in protecting the practice from risks through education and incentives. Review recent changes to Stark Law and the challenges it poses for healthcare marketers. 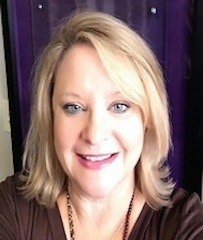 Jenny Avery Bramblett attended the University of South Alabama where she majored in Human Resource Management. Upon graduation, Jenny spent the next several years in the pharmaceutical industry while simultaneously studying and working to become a Certified Dale Carnegie Instructor. 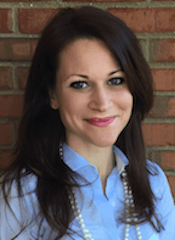 Her work experience includes Organon Pharmaceuticals, Johnson and Johnson Pharmaceuticals, Atherotech, and a 20-year affiliation with Dale Carnegie Training as a Dale Carnegie Trainer and Consultant. Jenny and her family are members of the Fairhope Alabama community where she serves on the Board of Directors of The Exceptional Foundation of the Gulf Coast, the development council of the University of South Alabama Children’s and Women’s Hospital, a member of First Baptist Fairhope and serves as a member of National Charity League with her daughters, Avery and Virginia Dru. Join Jenny for this two-hour workshop where you will experiment with relationship-based techniques in order to build long-lasting professional relationships and develop relationship-based solutions for your clients. Discover the value of a confident attitude when dealing with clients, asking questions for a purpose and the invaluable skill of listening. Are you productive? Or, are you busy? This presentation will highlight how to distinguish yourself between sales and business development. As the bridge between referring and rendering entities, are you translating your leadership’s strategy for success? Learn to focus on those clients who actually matter to your practice rather than digging your head in unwanted ones. The referral pipeline depends on everyone owning their part of the success or failure…are you making the right kind of visits? Superplatforms like Facebook™, Google™, Instagram™, Snapchat™ and more have changed the way people communicate. John and Tommy have been helping connect business owners to their ideal audiences through strategic proactive and reactive marketing systems using intent-based branding and customer journey optimizations. In this presentation, you will discover 3 overlooked website enhancements to generate more leads without any additional spending. As a certified Analytics & Data Specialist, Customer Value Optimization Specialist, and Direct-Response Copywriting Specialist through the world-renowned industry leader DigitalMarketer.com, Tommy focuses in on his customer’s Strategies to ensure online success. For fun, Tommy flies around on helicopters as an air-medic in New Orleans. John has been working in strategic partnerships for the last 10 years primarily in healthcare space where he served on the board of directors for the Healthcare Financial Management Association for several years. For fun, John runs youth soccer events that operate in Northwest Florida since 2007. He currently lives in Florida with his wife and 3 kids. Hear from seasoned administrators, physicians and physician liaisons about what makes for a substantial referral relationship. Learn how to optimize yourself and your organization to grow through shared goals. Listen to best practices and success stories from those in the trenches. Dr. John Doremus is an Alabama board-certified diagnostic radiologist specializing in musculoskeletal radiology. 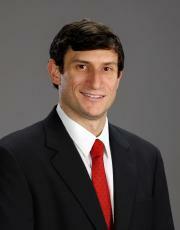 He completed his undergraduate degree and attended medical school at the University of Florida. He then completed residency as chief resident at the University of Alabama at Birmingham. 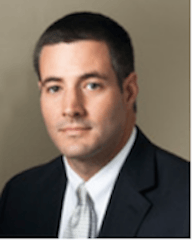 He has been in private practice with Alabama Coastal Radiology for nearly 12 years. 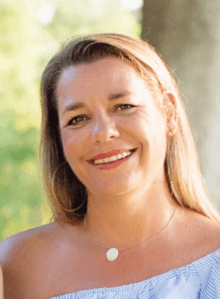 Katy has worked in the dental industry for over 23 years, first as a dental assistant at a cosmetic dental practice and now as a dental hygienist at a premier pediatric dental office in Fairhope, Alabama. Faced with a full patient schedule, Katy recognizes the importance of quality rep visits. She will share her practice’s protocols for handling rep visits, how they enforce those protocols, and how to share those benefits with patients. Katy’s philosophy “I am always willing to listen to what a rep has to say as long as my patient’s health is at the forefront of their message”. When not working, Katy enjoys spending time with her daughter, Claudia (15), and son, William (11). Experienced in outpatient orthopedics, sports medicine, and manual therapy. 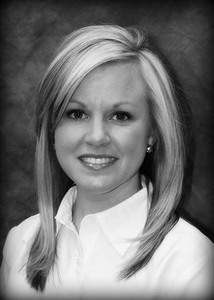 Holly specializes in acute pain management and patient education. Holly wanted to work with orthopedic injuries, post-surgical rehab, and athletes and knew that working in physical therapy was the right choice for her. She finds that working with the patients and watching them work through their personal challenges to achieve their goals is the most rewarding part of her job. 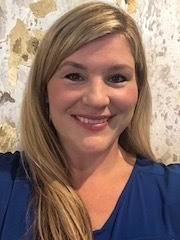 Holly wears many hats and her background has allowed her a seamless transition into her current position as a physician liaison for Southwest Alabama which includes 5 clinics. Holly and her family recently moved to Orange Beach, known by the locals as OBA, and are enjoying the ‘beach life’. 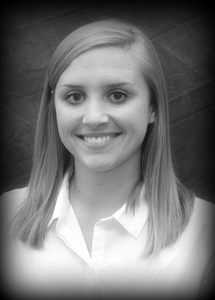 Jenna’s mission as a Physical Therapist is to educate her patients about their overall health and fitness. Physical Therapy is not a one-time thing, but the beginning of a lifelong journey to improve functional capacity and better their lives through improved health and nutrition habits. “I focus on really listening to my patients and their concerns to create a treatment plan that best fits their personal needs.” When not working, Jenna and her husband Cade enjoy boating, hunting, and playing with their two dogs. Dr. Handwerger graduated from the University of Georgia with a bachelor’s degree in biology and received his medical degree from the University of South Alabama College of Medicine. 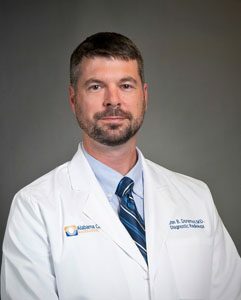 He completed his residency in orthopaedic surgery at the University of South Alabama, following which, he completed his fellowship in pediatric orthopaedic surgery at Scottish Rite Children’s Hospital in Atlanta, with Children’s Orthopaedic of Atlanta. He is board certified by the American Academy of Orthopaedic Surgeons and is a member of the Pediatric Society of North America. Dr. Handwerger specializes in the treatment of scoliosis, pediatric fractures, growth plate injuries, deformity correction, clubfoot, and cerebral palsy. All sessions are interactive training sessions lead by the MDreferralPRO team. This is a BYOD event…Bring Your Own Device. Whether you are a novice or a veteran user, training will address how to identify top referral sources and manage a visit schedule for optimum consistency, how to streamline data imports to minimize Level 1 data manipulation and review standardized MDreferralPRO formulas and the impact on data analytics (understanding the % change within the various charts). Additionally, attendees will have the opportunity to create custom charts/graphs and page layouts within their accounts for data analysis. Attendees will have the opportunity to work one-on-one with a staff member.